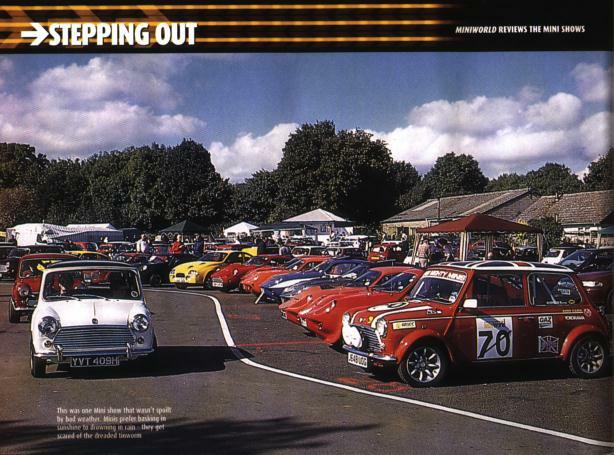 Mini World's pictorial review of the shows captures the Mini Marcos line-up at Castle Combe. Despite the caption some Minis aren't afraid of the dreaded tinworm! This unidentified Mk. 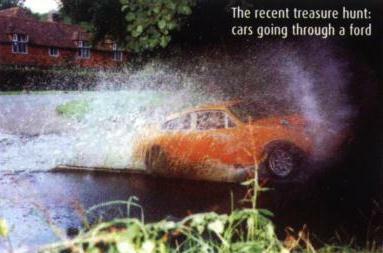 2 Mini Jem is seen going through a ford on an LSMOC treasure hunt.